In continuing with our “What Makes a Great Holiday Gift” theme, we’ll talk about womens luxury jewelry box or mens watch cases as a gift that will cover all aspects of what makes a great gift: thoughtfulness, usefulness, quality, and value. The usefulness is obvious, as almost all women have some collection of jewelry, and almost all men have at least two watches (and many have more to fit the occasion: business, casual, adventure). 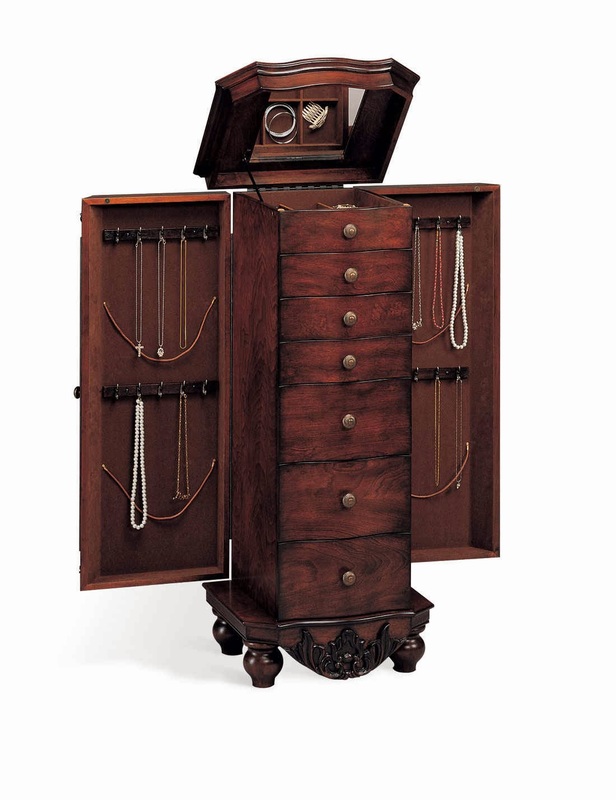 And, of course, a luxury mens watch case can store both his and hers. Quality and economic value go hand-in-hand with jewelry boxes for women, and cost will mainly be driven by the size of the jewelry box, as well as the material. 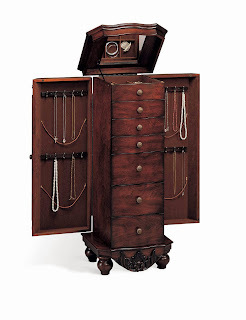 A large jewelry collection, especially one with many necklaces, may require a floor-standing armoire, which can also be used to house undergarments and other delicates in the lower drawers. And a watch case can carry from two to 20+! As an aside, watch winders are a terrific complement to a luxury watch collection, most of which auto-wind, meaning that they self-wind as the wearer walks, and require a similar type of movement when not worn to ensure the date, etc remain accurate. Thoughtfulness will always be the key factor. 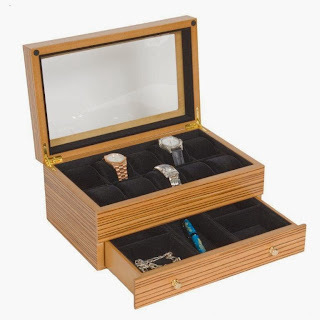 Luxury jewelry boxes and watch cases will be highly visible and useful to the recipient, and will most likely be purchased after much thought goes into determining the design, color, fit with décor, size, and cost. 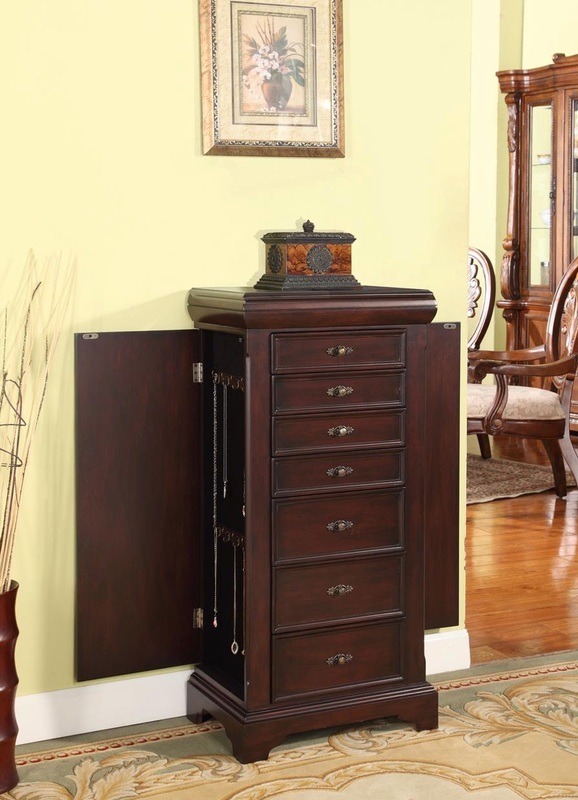 For these two types of items, jewelry boxes for women and mens watch winders, the usefulness of the gift along with the value and beauty are a perfect combination of personal touch & quality that will be appreciate for years by a wife or husband. So as you march down your Christmas Shopping path, keep in mind that usefulness, beauty, and the quality that you’ll get with a higher expense are some top considerations for luxury gifts. As always, though, make sure the retailer has an excellent return and warranty period, normally 30 days and 1 year, though at ChasingTreasure, we allow returns for purchases made in November until January 5th. What Makes a Wonderful Holiday Gift? So what makes a wonderful holiday gift? There are two main perspectives: 1) It’s the thought that counts, and 2) The value of the gift as perceived by the recipient: thoughtfulness of the giver, quality, usefulness, economic value, or (most likely) a combination of all. The “It’s the thought that counts” instance is best seen as the child who makes a gift for a parent; a craft made at school for example, or a drawn picture. That keepsake can hold tremendous emotional value for both giver and receiver that far outweighs any measurable value such as practicality or dollar worth. Likewise, it could be a simple gift from one adult to another of a happy memory, such as a framed picture or Ramen Noodles and hotdogs from an old college roommate. The second perspective is the most likely case and the one that can cause the most consternation: what to get a loved one or significant other that expresses thoughtfulness, quality, fit, and economic value. While these are related (higher economic value generally denotes higher quality for example), we’ll address each individually. Usefulness should be fairly straight-forward, especially when given to one you know well. If a decoration, will it provide lasting pleasure or be a fleeting fad? Think a Monet print versus Dogs Playing Poker for the bedroom. If for practical use, will the recipient use it daily, monthly, annually? Generally the more frequent the use, the more value, with exceptions (see thoughtfulness below). Quality of the gift is the next value attribute. Generally speaking, the higher the cost, the better the quality, but as the old adage says: let the buyer beware. Potential issues arising from poor quality can be mitigated by a solid return policy, money back guarantees, and reputable manufacturers. Thoughtfulness is probably the most difficult attribute. Usefulness is important, but the value of the use should also be considered (a nose hair trimmer versus foot massager for example, or cologne versus deodorant!). It should go without saying that the thought put into a gift should focus on how the recipient views the gift, not the giver. 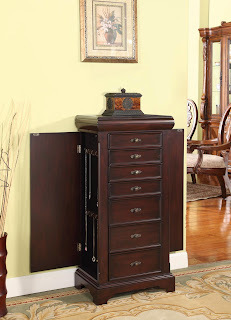 Take a look at ChasingTreasure's luxury jewelry boxes and watch cases to help get the idea juices flowing. Happy Holidays and shop early as stores' inventories deplete quickly in December!